ST. GEORGE — As the weather starts getting warmer and people start venturing back outdoors, many homeowners start thinking about their landscaping again. 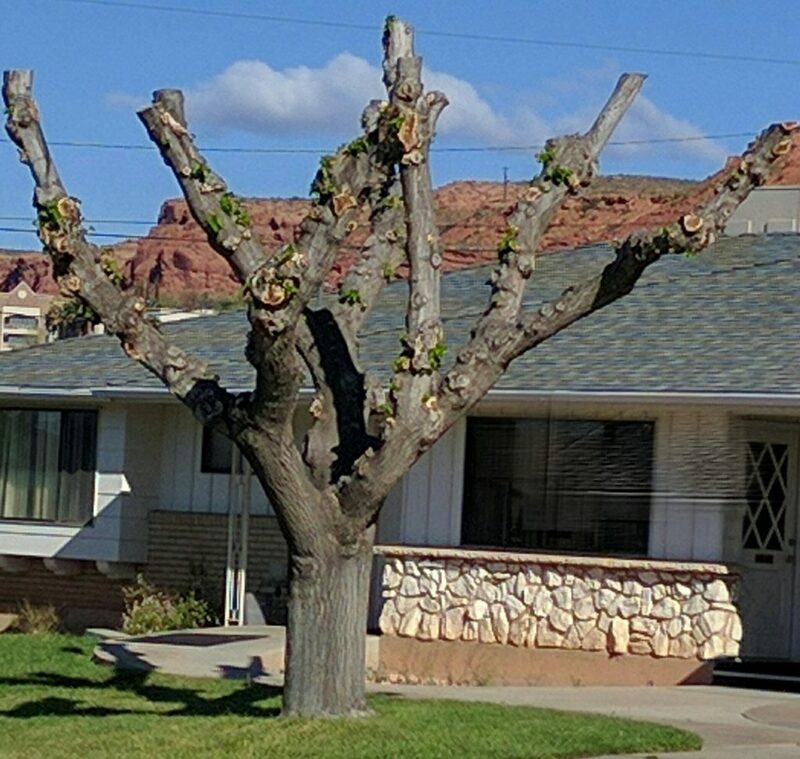 However, when it comes to trees, the city of St. George is advising against the practice of topping trees. When a tree is topped, 50 to 100 percent of leafed branches are removed, Moore said in a public service announcement, taking away the tree’s food source and causing it to go into stress mode. Trees store carbohydrates or “food” in their branches, trunks and roots. Topping a tree can remove valuable energy stores and a tree’s ability to perform photosynthesis. 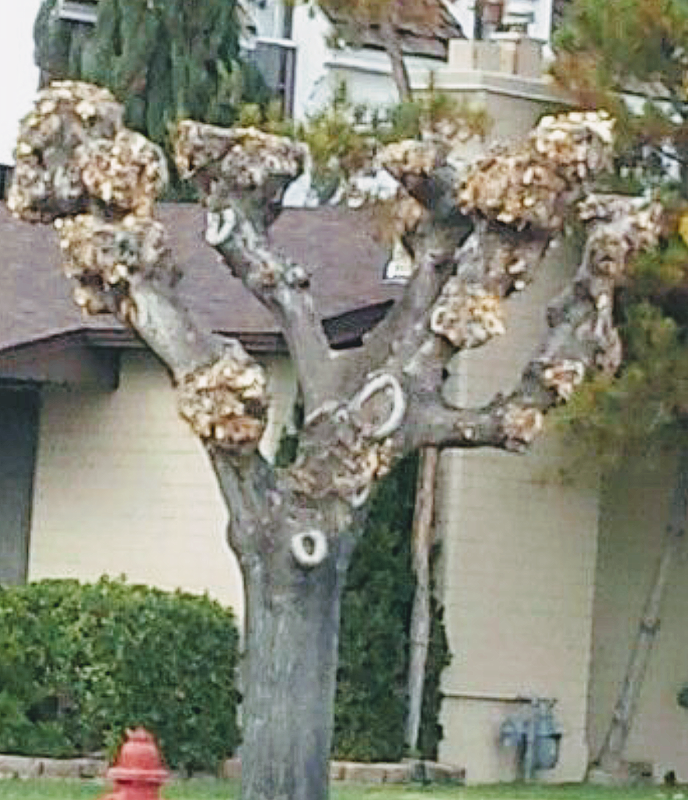 When all of a tree’s leaves are removed, a tree will sprout water suckers from dormant buds along the remaining branches. Water suckers are fast growing branches that have a weak attachment to the tree’s trunk. These branches are where future branch failures can and will occur, Moore said. Most trees don’t require a lot of pruning, Moore said. Only branches that are crossing and rubbing or dead and dying need to be removed. 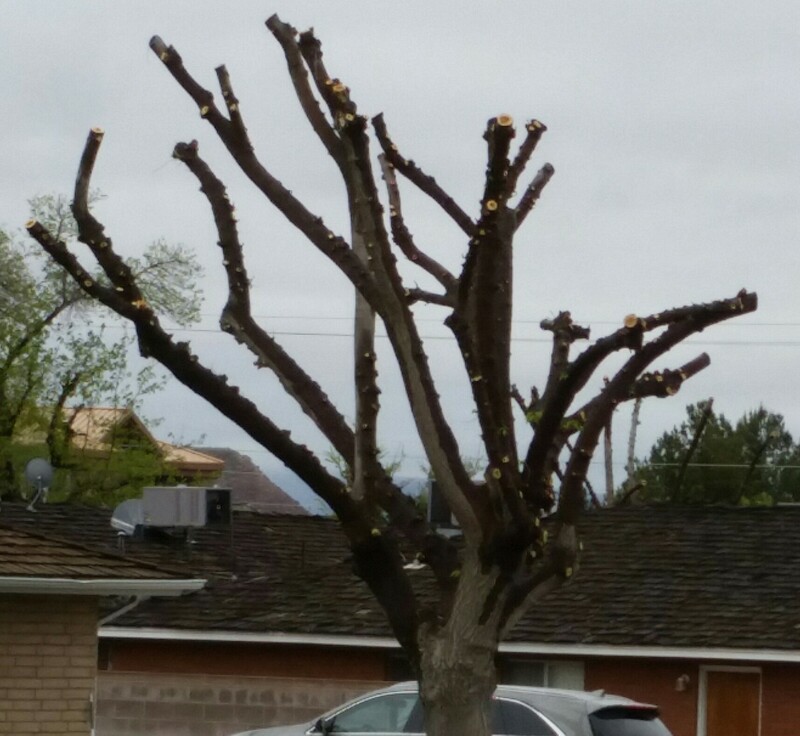 Moore suggested that residents who feel that their tree needs to be pruned should consult with an International Society of Arborists certified arborist and to always demand that the tree is pruned to ISA standards. Moore reminded residents that all trees in the city of St George right of way are protected under the Shade Tree ordinance. 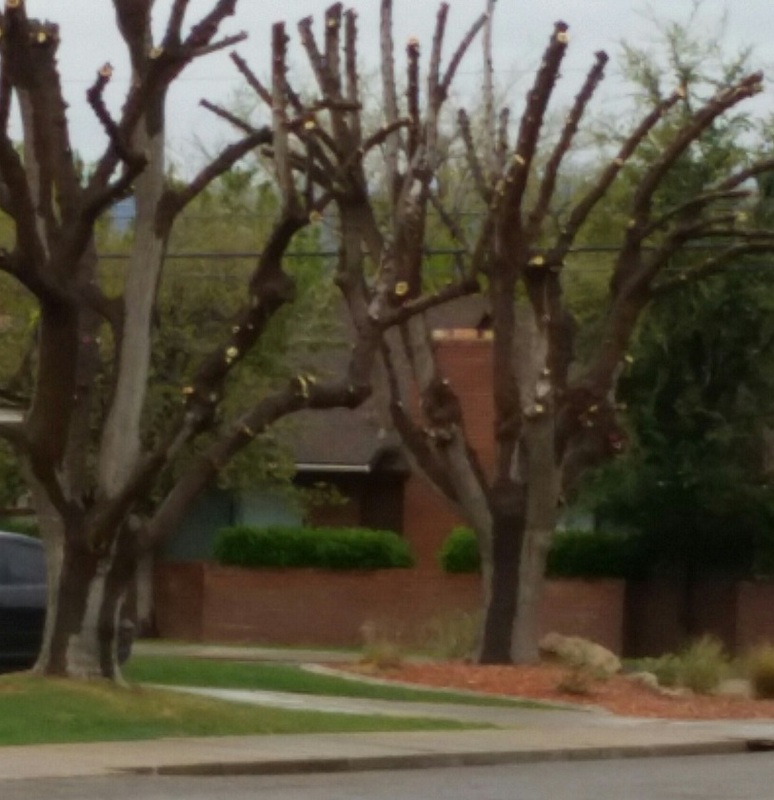 If you aren’t sure if this applies to you or have a tree concern, call 435-627-4530 to speak with city staff. LOL Yea, looking at those pics–yea I think they over-pruned those trees. It’s like “hey Pablo, I think u took off enough already”. Maybe cutting ever single branch off the tree is just a way for them to charge more, who knows.